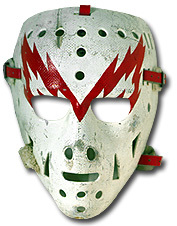 Eddie Giacomin wore this mask during the latter part of his stay with the Detroit Red Wings (1976 -78). 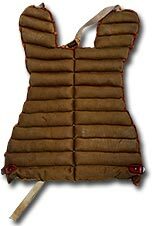 Eddie's chest protector worn during his final season in the NHL in 1977-78. 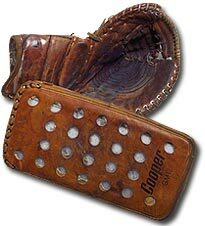 The trapper and blocker used by Eddie Giacomin as a member of the Detroit Red Wings during the 1977-78 season, his last in the NHL. 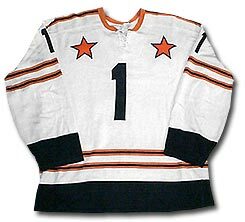 Eddie's jersey from the 1971 NHL All-Star Game, the fifth of six such contests he would appear in. 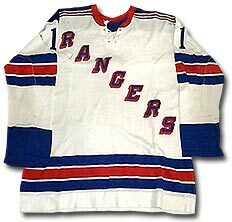 Giacomin's New York Rangers jersey (circa early 1970s). His number (#1) was ultimately retired by the Rangers' organization. 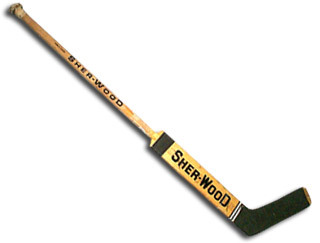 The stick used by Eddie Giacomin to record his 50th career NHL shutout. The feat was accomplished during the1975-76 season while Eddie played goal for the Detroit Red Wings. 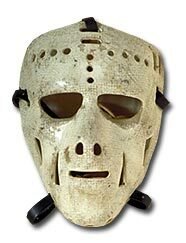 The mask of New York Rangers Eddie Giacomin worn during the 1970-71 season, the same season that Eddie earned a berth on the NHL's First All-Star Team.